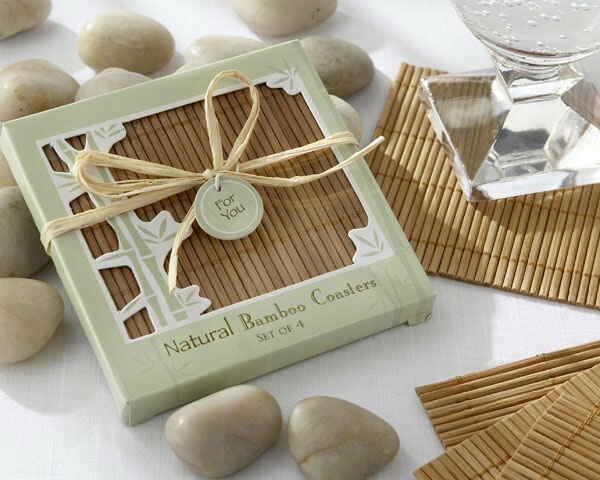 A set of four Bamboo Coasters will make a beautiful guest gift for any occasion. Eco-Friendly Bamboo is a symbol of luck and success because of its strength, resilience and ability to grow quickly. It is said that bamboo is luckiest when it is received as a gift! That makes these beautiful coasters an even more thoughtful favor. 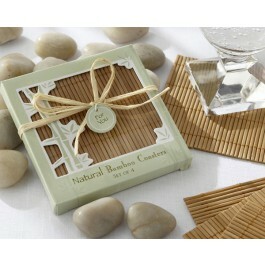 Each coaster measures approximately 3 1/2"
Gift box measures 4" square with a matching "For You" tag.